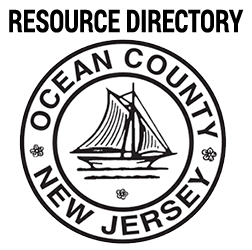 The 2017 census population estimates shows Ocean County's 60+ population at 28.9% of the total with 172,989 individuals. The 65+ cohort accounts for 22.4% of the total with 133,920, 70+ accounts for 16.2% with 96,889, 75+ accounts for 10.5% with 62,586, 80+ accounts for 6.4% with 38,139 and persons 85+ is 3.4% with 20,203. The Office of Senior Services is the focal point that older adults and their families can turn to for information regarding services and programs. Our seniors are special in so many ways. In Ocean County we make certain our programs and services – from transportation to nutrition sites – provide this population with the assistance they need to live independently and with dignity. The Ocean County Office of Senior Services serves as the focal point for services and information. Residents are encouraged to call us for information on available services and programs. A representative from the Office of Senior Services also is available at the County Connection, the Ocean County government service outlet located at the Ocean County Mall, as well as some of the other Satellite Resource Centers. The Office of Senior Services is fortunate to have a group of competent and caring professionals, working together to provide services to the community. Our staff is available to assist with Federal, State, and County programs such as Social Security, Veterans Affairs, and many more.